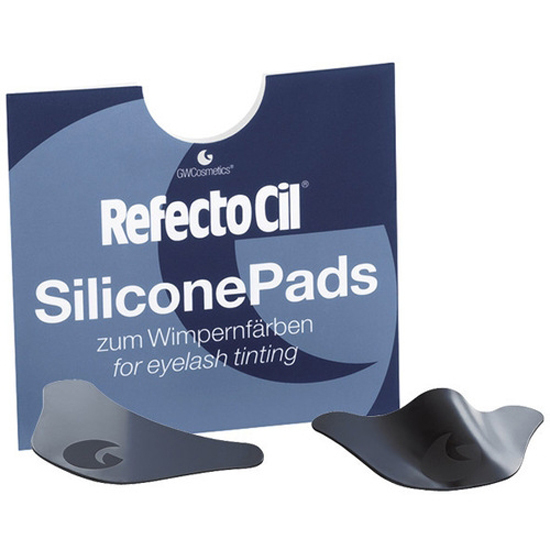 The innovative RefectoCil Silicone Pads make eyelash tinting as simple as never before! They facilitate eyelash tinting considerably and increase the profitability in your salon, and the treatment becomes more comfortable for the clients. The RefectoCil Silicone Pads are self-adhesive and anti-slip and the soft high-tech silicone perfectly adjusts to every eye form. The pads are 100% impermeable and can be used up to 100 times. After each application they should be cleaned with soap and water, after cleansing they are immediately ready for reuse.